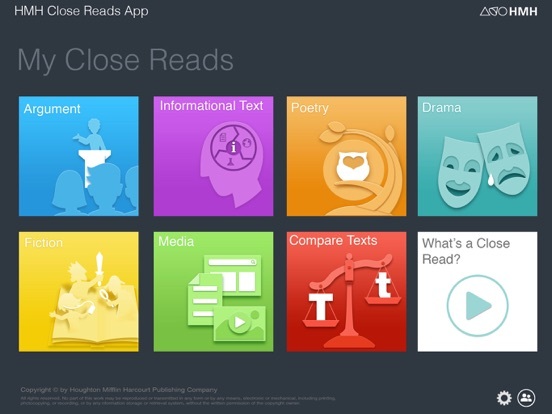 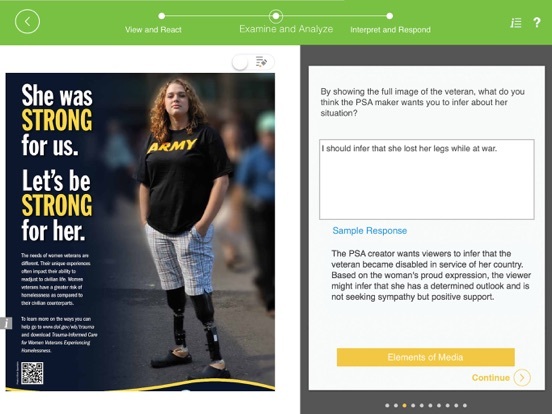 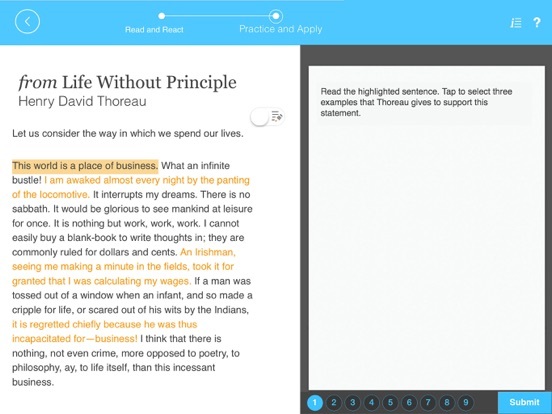 HMH Close Reads guides students through the close reading of a variety of complex texts—argument, poetry, informational texts, fiction, drama, and even media messages in image and video. 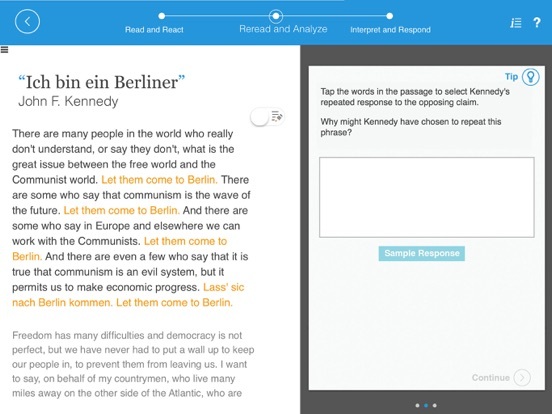 Within each genre, students first complete a Guided Close Read, in which they read a text systematically to understand key ideas and analyze the author’s choices. 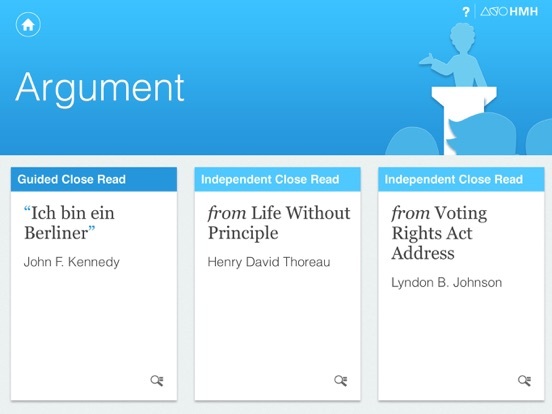 After finishing the Guided Close Read, students move on to the Independent Close Reads, which provide scored practice in analyzing more texts within the same genre.